2018 thank-you gifts are ready! If you donated a creation that sold for Creations for Charity, you can look forward to getting one of these in the upcoming weeks! A huge thanks to Kevin Hinkle for the design and Victor from EclipseGrafx for the printing! 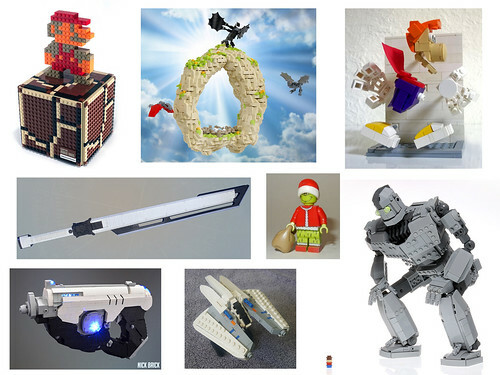 The Creations for Charity 24-Hour Live Stream Presented by Beyond the Brick has begun! Tune in for 24 hours straight of LEGO talk, LEGO building, and even interviews with LEGO designers and community team members in Denmark. Click here to sign up to join the live stream. For every hour that we’re live, The LEGO Group has agreed to donate $50 worth of LEGO sets. Many thanks to the generous folks over at LEGO. BrickMania has also agreed to donate a a set for every hour that we’re on air. Cheers to Dan and the team over at BrickMania for supporting the charity again this year! Additionally, Brick Loot has agreed to provide some neat products for every hour that we’re on the air. Shout out to the Krex family for their kindness. We’ll also be accepting donations via Paypal throughout the live stream. If you donate, you may or may not be able to request that we do certain things during the live stream. So, put your thinking cap on and donate wisely! Over $10,000 and one week left! 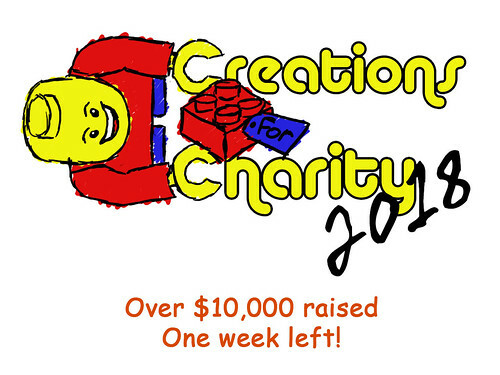 One week left in this year’s Creations for Charity! Many prices have been reduced, don’t let the opportunity pass to buy a creation before November 30th! Take a look at the latest items for sale from this year’s fundraiser. There’s only two weeks left until the store closes for the year, let’s help sell these amazing creations! We’re very happy to announce the Creations for Charity 24-Hour Live Stream Presented by Beyond the Brick is back for the fifth year! As in past years, LEGO fans from around the world are invited to watch and participate in this day-long live web broadcast. With 24 hours of nonstop LEGO action, this is surely going to be something you won’t want to miss. From 5pm EST on Friday, November 23rd to 5pm EST on Saturday, November 24th, Beyond the Brick’s Joshua Hanlon and Boone Langston will be fighting off sleep to bring you all kinds of LEGO goodness. What exactly can you expect during the live stream? Live build of the UCS Millennium Falcon, the largest LEGO set ever made! The building of numerous LEGO sets and MOCs. The discussion of numerous LEGO-related topics with AFOLs (including LEGO designers!) from around the world. If you would like to join us on the broadcast and participate in the live event, please fill out our brief Google form. All ages of LEGO fans from anywhere in the world are welcome to join the fun! If you want to simply watch the live stream, you can do so by returning to the blog you’re reading now or monitoring Beyond the Brick on YouTube. We’ll post right here on creationsforcharity.org as soon as the broadcast begins. Donations of LEGO sets or funds to purchase LEGO sets are encouraged. Once again this year, all sets/funds raised as part of the 24-hour live stream will be used to purchase LEGO sets for kids in Indiana hospitals. If you make a monetary donation, feel free to suggest fun LEGO activities for us to do on the broadcast. Click here to donate. Beyond the Brick will match any monetary donations up to the first $500! We will also be auctioning off a copy of the UCS Millennium Falcon built during the live stream! Head over to our Ebay auction to bid on the set. All proceeds from the auction will go to Creations for Charity. 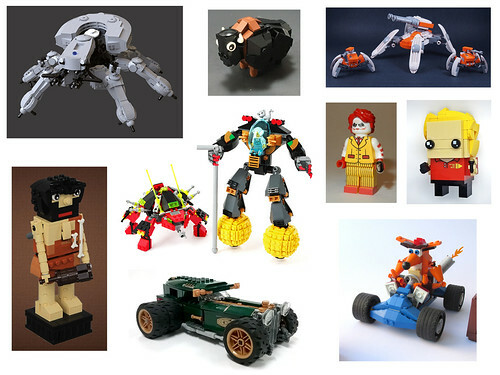 Throughout the month of November, the custom LEGO accessories and minifig store EclipseGrafx will be donating 10% of its sales to Creations for Charity. Whether you’re looking to pick up a Bricktendo Entertainment System or a panel of stained glass windows, EclipseGrafx has what you’re looking for! This year’s Creations for Charity is halfway over, don’t forget to donate a creation by November 15th or buy something from the store before November 30th! Creations for Charity has raised over $7,000 in the first two weeks since the store opening for this year’s fundraiser. We could use more creations as many items are selling quickly! Donate one today, it’s super easy! Take a looks at what’s new for sale! Don’t forget to donate donate a creation before November 15th and shop before the fundraiser ends on November 30th. Over $5,000 raised in the first week! This year’s Creations for Charity is off to a good start! 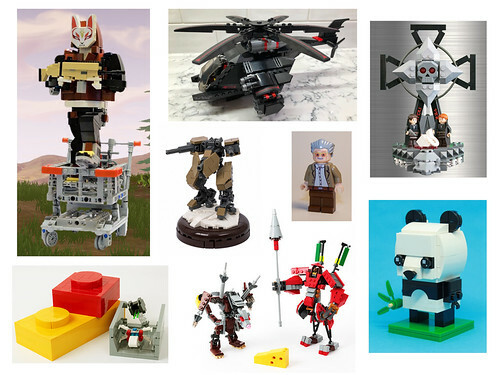 We’ve sold over $1,700 worth of custom creations, and coupled with a generous donation of $4,000 from Brickworld, this brings us to over $5,000 raised in the first week. There’s still plenty of time left to donate a creation or buy a creation before the end of November. Don’t wait until the last minute! Store now open for 2018 fundraiser! The 2018 fundraiser starts today! Visit our store to see what’s for sale this year and check back often as new creations will be added until November 15th. Don’t forget you can donate a creation by November 15th. Let’s go for another great year!